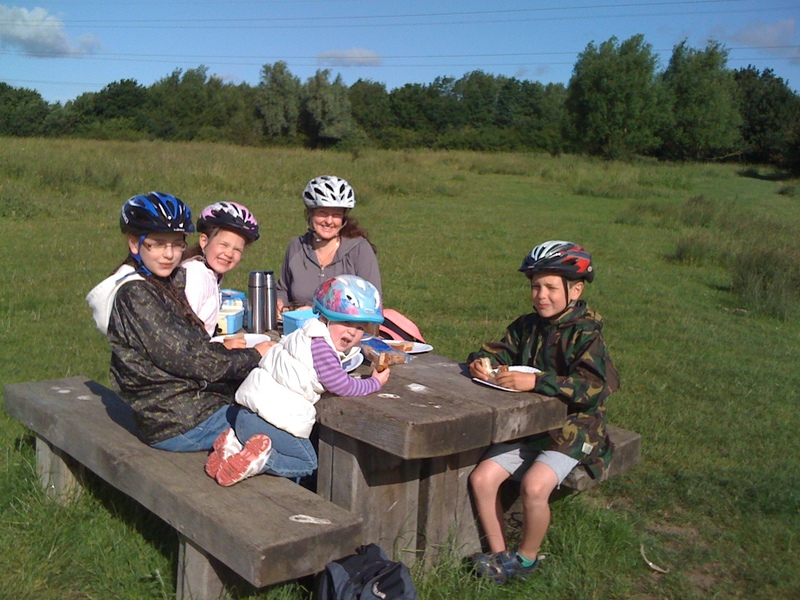 On Sunday I took the family out for an early breakfast picnic by bicycle. Did not go very far as the younger ones are not that fit yet, but this is an attempt to get them fitter and more used to cycling. You see this is all part of my plan to get us all to cycle the “Downs Link” as a family later on this year. 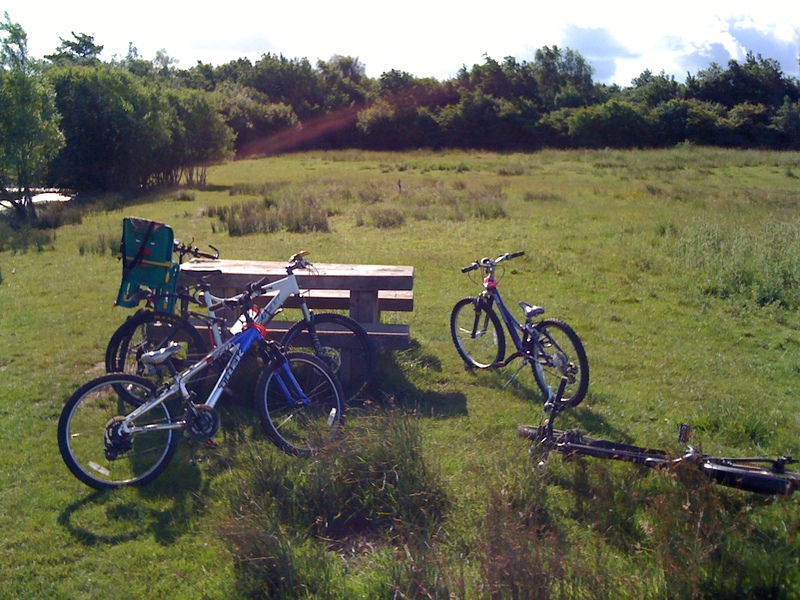 Basically the Downs Link is an off-road trail that starts just south of Guildford and ends up at Shoreham-by-sea. It follows along the lines of an old disused railway and is about 40 miles in length. It was a lovely morning but the forecast was for rain at about 9, which was partly why we set off so early. Surprised to see so many dog walkers out and about. Storing all those bikes can be a bit of a pain, but the big difference in the cycling for the children has been getting them better/lighter bikes. 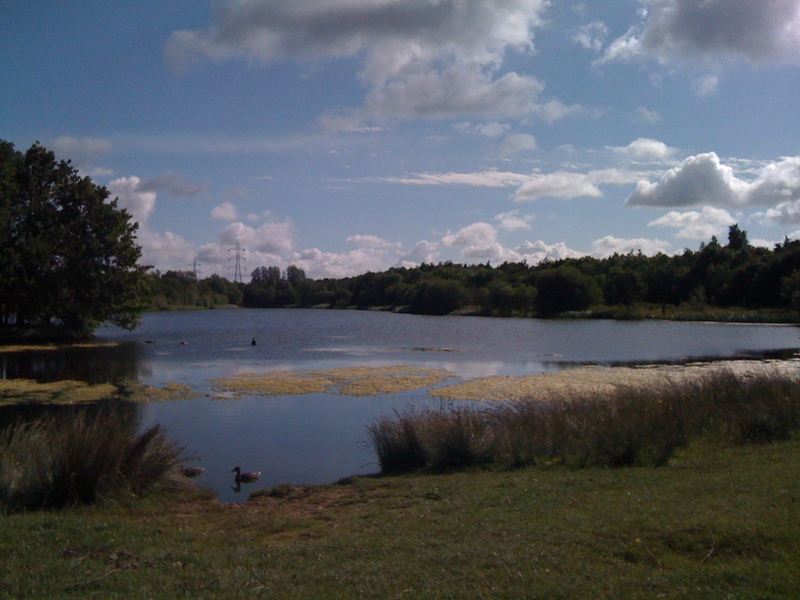 Nice view over the lake, it was fun watching some dogs splashing about and trying to bite the water – very funny. Some of them were so engrossed in their water play that they totally ignored the calls of their owners. Also lovely to see the swans with their cygnets. It is quite off-putting trying to eat a hot-cross-bun with a cow staring at you. 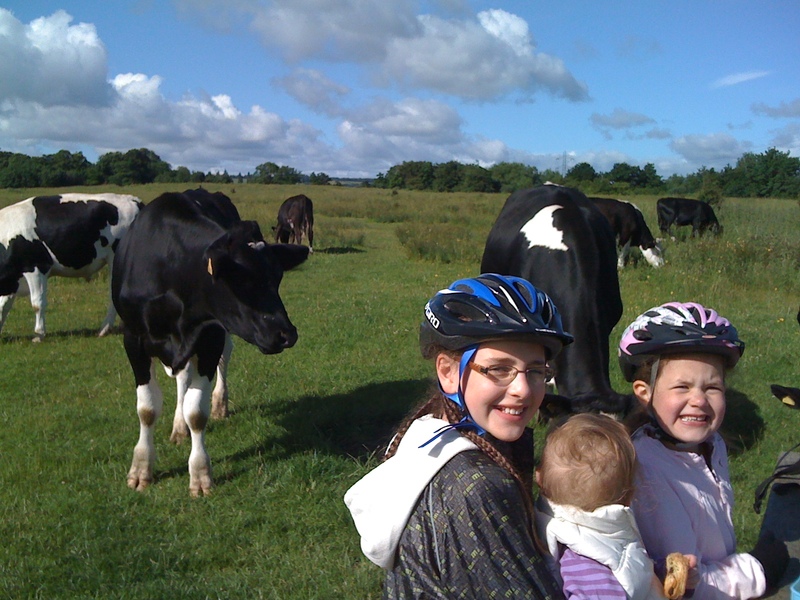 Next thing the cow on the right is licking my cycling bag. 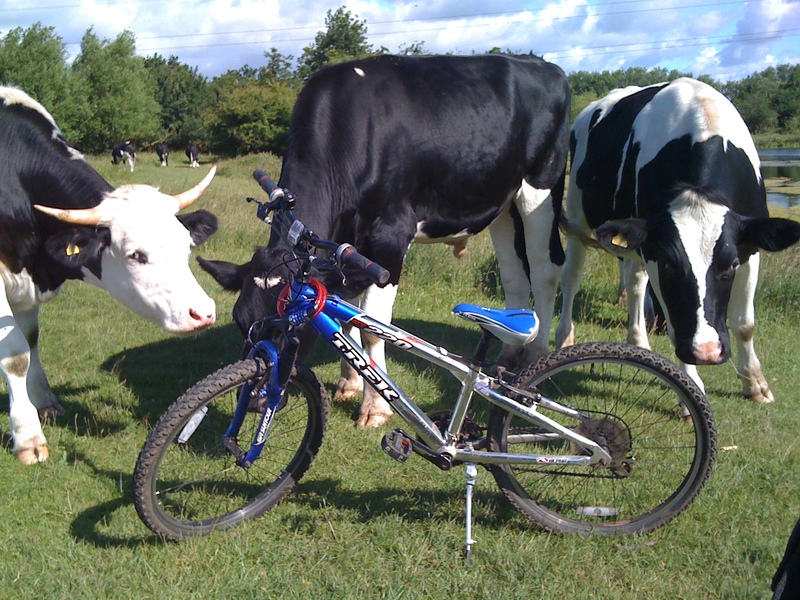 My wife reckons it is because that’s the one I use for commuting and the cow thinks it is a giant Salt Lick. Well I promptly removed that and sat down and tried to ignore her (the cow that is). They are quite intimidating when this close to you. They showed a remarkable interest in the bike.